Are you happy with the way your home or office smells? How do you feel when you're there? What if I tell you that you can change the mood of your space with different scents? You can. I was given the opportunity to try Islands Miracle Essential Oil Diffuser and Islands Miracle Essential Oils Gift Set. 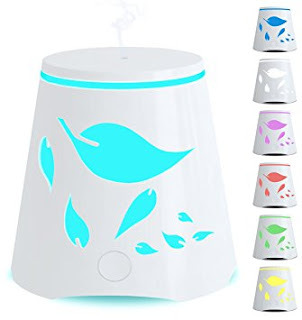 Islands Miracle Essential Oil Diffuser is easy to use, just remove the lid and fill with water to the fill line and add 5-10 drops of the essential oil of your choice. Press the power button on the front of the diffuser and when the lights begin to shine the mist begins as well. The lights are rotating, you can either let the rotate or if there's a particular light you like when it comes on, press the front one more time and it will stay on that color of light. 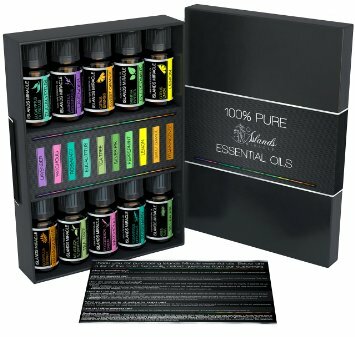 There are so many benefits from using essential oil aromatherapy, and I am very impressed with not only the variety of scents of the essential oils in this gift set, but also the quality. These essential oils are all pure, and undiluted which means that you use less and a little goes a long way. These essential Oils can be used for custom massage, aromatherapy, vaporizers, oil burners, and perfume. The scents in this set include. Eucalyptus, Tea tree, Lavender, Sweet orange, Lemon, Frankincense,Patchouli, Peppermint, Rosemary, and Silver Fir. All of these essential oils are rigorously tested. Each oil undergoes Gas Chromatography, Mass Spectrometry, FTIR Scan ( Fourier Transform Infared Spectroscopy), Microbial Testing, and Orangoleptic Testing. These tests are to insure that they are 100% pure. Both of these products, the diffuser and the essential oil set,are a really nice addition to your home or office. They make your area smell great and can change the mood from relaxing, to energized. The eucalypus , peppermint, and tea tree are all great for relieving congestion during cold and flu season. Many benefits (and they all smell great). I received both of these products for free and will be compensated for my honest unbiased review.